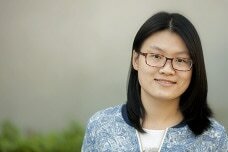 Qiujie LI is a Ph.D. student in the Department of Education with a specialization in Learning, Teaching, Cognition, and Development (LTCD). She completed her B.A. in Educational Technology in 2011 at Beijing Normal University, and received an M.A. in Distance Education from the same university in 2014. Qiujie is interested in instructional Design, Learning Analytics, Online Learning Environment Design, and related fields. She hopes to use learning analytics in exploring the behavior patterns of online learners in order to discern their learning problems and to be able to offer better support for them.